Resume lying is commonplace. The HR department’s challenge is that the resume is one of the cornerstone pieces of information you can get about an applicant. What can you do about “fake” claims on a resume? Research sponsored by Career Builder found that well over 50% of resumes contain lies, based on a survey of over 2,000 HR managers nationwide. The lies range from exaggerations—such as embellishing skills or experience—to outright major league fabrications of substantial pieces of the background, including whoppers like claiming authorship of a piece of code that was actually written by the applicant’s potential new boss. More recent research shows that about three-quarters of HR managers have found lies on a resume. Many HR managers also report an increase in the incidence of resume lying. One speculation is that this is due to the increase in competition for jobs during the long, slow recovery from the Great Recession. Adding to this, applicants are often given advice about how to “put themselves in the best light” on a resume, making embellishment seem like a smart strategy in job-seeking. Given this state of affairs, hiring decisions cannot be made based on the resume alone. As HR managers sort through applications, they often spend only 30 seconds to a minute on each resume trying to get down to the most qualified applicants. At the point where the pile is winnowed down to the most promising ones, other sources of information can (and should) come into play. 1. 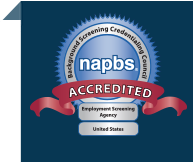 Perform an appropriate background check: A large majority of employers do use background checks routinely in making hiring decisions. It is important that the screening methodology be designed to be job related and consistent with business necessity. 2. Interview carefully: The in-person interview supplies a lot of substantive information about the candidate’s personality and fit for your organization. That said, you should not rely on your “gut feelings” to make a decision. Rather, the interview should be designed to probe claims made in the application, resume, and cover letter to seek detail and consistency. 3. Look behind the resume: The Internet is a blessing and a curse. You should not rely totally on a social media search to evaluate a candidate (and be careful using this resource: if you use the information you find to make a decision—especially an adverse one—you may be liable for improper use of personal data). On the other hand, you can verify information you find in other sources this way to confirm or contradict the candidate’s claims. As always, background checks and personal information searches should only be made with the applicant’s written permission.